The 38-mpg A6 TDI earns great gas mileage and excellent performance with a relatively accessible price point, especially compared to the competition. The 2015 Audi A6 may look a little sedate, but it's a brilliant performer–thanks to its diesel-driven TDI, the supercharged A6, or turbocharged S6 versions. For 2015, Audi’s A6 continues building its reputation for high-tech, if conservative, luxury. The A6 is a refined, civilized, smart, and capable sedan with the potential for a sporty side, too. The A6 and performance-oriented S6 sedans are handsome vehicles, and we've commended Audi on its contoured sheetmetal and sleek designs in the past. However, even the A6 sits in the shadows of its mechanically similar, far less predictable A7 hatchback sibling. That car has been a top pick amongst our editors, while the A6 has received received more conventional scores with its more conventional design. The good news here is that the interiors are identical in both cars, and passengers will enjoy a mix of rich finishes, comfortable seating, and a long list of feature technologies. With its swept-back, more rear-biased sport-sedan look, the A6's silhouette does rob some interior space. It feels somewhat smaller inside than some other mass-market cars in its size class, but front-seat space is excellent. Legroom can feel tight in back, and that middle space back there isn't adult-sized. That also makes the four-seat A7 and its practical hatchback cargo area, again seem more appealing. Trunk space is obviously smaller than in the A7 hatchback, but at 14.1 cubic feet it's even a bit small by luxury-sedan standards; the cargo floor is also quite high. The A6 offers all the active-safety features you'll find on its luxury peers from Mercedes-Benz and BMW--including front and rear parking sensors, a rearview camera, blind-spot monitors, a night-vision system, and a head-up display. It's earned top five-star results from the federal government in crash-testing, as well as top 'good' ratings from the IIHS in all of the areas it's been tested (although not yet the tough small overlap test). The 2015 Audi A6 and S6 are very well-equipped at the base level, as luxury sedans. But it's the options for the lineup that will really impress passengers. From Google Earth maps, to in-car wireless Internet access, to an innovative system that lets you trace out letters with your finger, this lineup goes above and beyond with tech options. The A6 also offers all the active-safety features you'll find on its luxury peers from Mercedes-Benz and BMW--including front and rear parking sensors, a top-view camera, blind-spot monitors, a night-vision system, and a head-up display. The A6's base drivetrain pairs a 220-horsepower, 2.0-liter four with either a continuously variable transmission (CVT) and front-wheel drive, or an eight-speed automatic and quattro all-wheel drive. 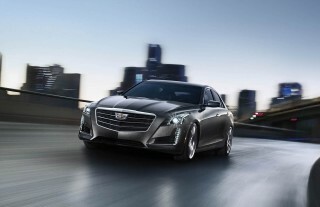 The four isn't slow, either; expect 0 to 60 mph times at about 7.5 seconds, up to a top speed of 130 mph. The CVT here does its best to pretend that it's a conventional automatic--and even offers a sport mode, paddle-shifters, and simulated ratios--but we'd take the eight-speed automatic and quattro with the 2.0T any day. And for pure efficiency, we'd choose the excellent A6 TDI, with a 240-hp turbodiesel six and an eight-speed automatic, a 0-60 mph time of about 5.5 seconds, and an EPA rating of 24/38 mpg, or 29 mpg combined. 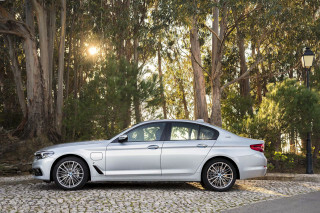 Higher up on the performance scale are the supercharged six and turbocharged eights. The 310-horsepower supercharged V-6 that's offered in the A6 is paired with all-wheel drive and an eight-speed automatic transmission for a 0-60 mph time of 5.3 seconds. It's a flexible, fairly muted powerplant--but it's easily outstripped by the 420-horsepower turbocharged V-8 engine found in the S6. The S6's seven-speed S tronic gearbox and performance upgrades ensure excitement is just a tap-shift away--and that 60 mph is just 4.5 seconds away. No matter which version you choose, the A6 has good handling, in either front- or all-wheel drive; even though its all-wheel drive system is biased to the rear it still prefers nose-heavy understeer. Models with Audi's Drive Select have better range and adaptability in their electric steering, throttle, transmission and even air-damper control, though steering feel isn't particularly a strength. The S6 has the tautest responses, of course; with impressively strong brakes and the firmest Sport settings, it's sweetly maneuverable in tight curves. Quietly handsome, the Audi A6 isn't a show-stopper like its A7 hatchback cousin. 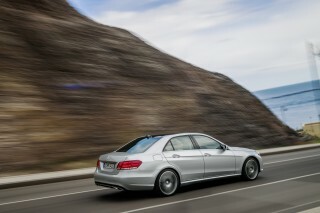 German automakers are notorious for their nearly identical sedans, offered in three lengths. That can be a tough spot for the A6, which doesn't quite look like an A8, doesn't look too dissimilar from the A4, and doesn't have quite the same flair as the A7 hatchback. 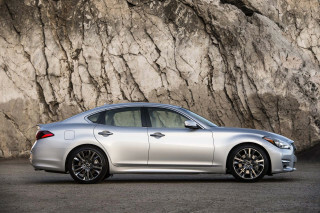 Don't get us wrong; it's a good-looking sedan with handsome sheetmetal and crisp, clean lines. It's just a little more anonymous than some of the other Audis, making it a little more difficult to spend the extra money over the A4 sedan on styling alone. The styling inside, though, remains singular. Audi succeeds in subduing the effect of many lines and textures better than any car company. The A6's overarching shapes are pleasant, and the concave door trim panels and boatlike dash line are handsome in a vintage way (just like they are on the Jaguar XJ and the Nissan Maxima). And the center-stack area is canted very slightly toward the driver, though not at all in a way that limits space. All that said, the A6 interior has dozens of pieces, panel joints, air vents, and metallic trim, which can add up to a busy look in some combinations, although a clear control layout helps with that. The A6's instrument panel is slim and rather low, which means the optional navigation system's LCD screen must flip incongruously out of the dash. And Audi's signature red lighting doesn't always work with some of the more exotic interior treatments, like its layered-oak look. The A6 simply executes its global mission, to be the executive four-door that sells en masse, around the world. Still, it stings that its signature nose-to-ground grille is becoming a meme around the industry, for better or worse. Not only that, the A6's signature sill line--the "tornado" line--has now been copied by automakers on cars as prosaic as a Hyundai Elantra. Shop the S6 or the A6 TDI -- the base CVT-equipped car is a skipper. The S6 is the monster of the group. 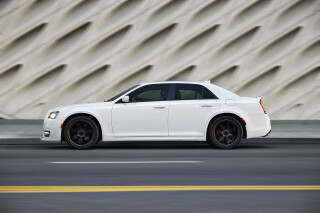 With a 420-horsepower, 4.0-liter twin-turbocharged V-8, a seven-speed dual-clutch transmission, a sport suspension, upgraded brakes, and an available torque-vectoring sport differential, the S6 offers a 0-60 mph time of about 4.5 seconds, as well as more satisfying handling, all without giving up much comfort to its big 21-inch wheels and optional summer tires. The other flavors of the A6 are also strikingly fast performers that don't sacrifice that much efficiency. 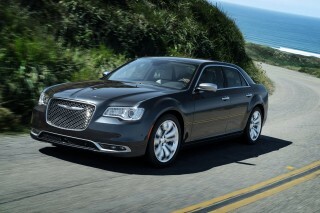 The mid-line option is a gasoline-powered 3.0-liter V-6, with supercharging and direct injection. By the numbers, this V-6 blasts out 310 hp and 325 lb-ft of torque, all harnessed to the eight-speed automatic and all-wheel drive with a rear torque bias of 40:60. Audi says it's good for 0-60 mph times of 5.4 seconds, and the same governed top speed of 130 mph. It's slightly more refined in feel than the TDI, but by so little it's a difficult justification. The mostly passion-free standard Audi A6 pairs a continuously variable transmission with a turbocharged 2.0-liter four-cylinder with 220 horsepower. It's a combo rendered more sedate by the A6's size and weight--even more so with the optional all-wheel drive, which at least adopts an eight-speed automatic instead of the CVT. It's not slow, with 0-60 mph times in the 7.5-second range, but it's a less convincing example of luxury in context here, especially with the CVT, which takes away some of what we love so much about the turbo four. As for that base 2.0T/CVT powertrain, it's confident enough; and while previous versions generated a drawn-out drone, this latest version instead seems to try more to mimic a conventional automatic transmission, albeit with slurred steps. A sport mode and steering-wheel paddle-shifters help, somewhat, although we much prefer the sharper eight-speed automatic transmission and quattro, a combination that's smooth and surprisingly quick. We'd be much more pleased to pay the premium up front for Audi's excellent new turbodiesel 240-hp 3.0-liter six. Its powerband is much narrower, and there's just a little more noise and vibration, but the payoffs are many. Performance through standard all-wheel drive and an eight-speed automatic is smart: 0-60 mph happens in about 5.5 seconds, thanks to 428 pound-feet of torque. Fuel economy is outrageous, at 24/38 mpg, or 29 mpg combined. The A6 TDI is better equipped, too, and isn't caught in the features and size limbo that the base A6 can be, compared with a high-end A4. With either the supercharged or the TDI powertrain, the A6 is a joy to drive. It jumps off the line, tracks cleanly and without torque steer. The eight-speed automatic is a perfect fit, clipping off upshifts and downshifts with just an occasional part-throttle moment of confusion. And the transmission seems always fully prepared to make your choices with the steering-wheel paddle shifters just as seamless. All A6 and S6 models get Audi Drive Select, a sometimes-frustrating system that adjusts the feel and response of the transmission, throttle and steering to Comfort, Auto, Sport and individually tailored specs. We've found issue with the execution of Sport steering mode, which feels too heavy, and Auto can deliver too much weight in high-speed sweepers. The A6 handles well, and even though its all-wheel-drive system is biased to the rear it still tends toward understeer. 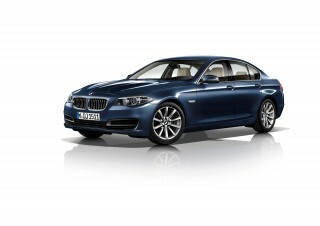 With impressively strong brakes and Sport settings, it's nevertheless enjoyable in tight mountain curves. Fit and finish are top-notch, but the Audi A6 has a little less room in the back seat than its rivals. If you're looking for headroom, the A6 is slightly more comfortable than its more curvaceous A7 sibling–but the A6 isn't vastly more spacious by the numbers. Functionally, the A6 has some key differences versus the A7 in back-seat accommodations. Two six-footers can fit back there, although knees may be mashed against the front seat. On the other hand, the A7 feels a bit roomier, though both entry and headroom are tighter due to the lower roofline. In front, the A6's seats are situated in a space with very good leg and head room, though knee space is slightly trimmed at the wide center console. Audi's seats are very comfortable for long road trips, and the headrests get a special nod--they don't stick out too far, a problem with other active-headrest designs. Front seats are heated as well, and on the most expensive models, they're ventilated for hot-weather comfort. Trunk space is obviously smaller than in the A7 hatchback, but at 14.1 cubic feet it's even a bit small by luxury-sedan standards; the cargo floor is also quite high. All A6 and S6 sedans have fold-down rear seats, although they're not completely flat-folding. Like many other German sedans, too, the A6 doesn't offer up tons of space to store smaller items. Cupholders are small and maintain a tight grip--which might only be to your liking if you drink mini beverages. The A6's doors do have molded-in niches for water bottles, but the armrest bin is shallow, and the glovebox runs lean. The A6 is 193.9 inches long, right in the median of the mid-size segment, but Audi's made an effort to give the A6 a longer nose and a shorter trunk lid (in part because of its driveline orientation). That nets less space inside, though with two more inches of headroom versus the A7, the A6 is better for taller rear-seat passengers. Overall, the A6 family of sedans has excellent fit and finish, a tight cabin feel, and an interior that blocks out road noise a bit better than the smaller A4. Crash-test scores have been good, and the A6 has tech like blind-spot monitors on order. 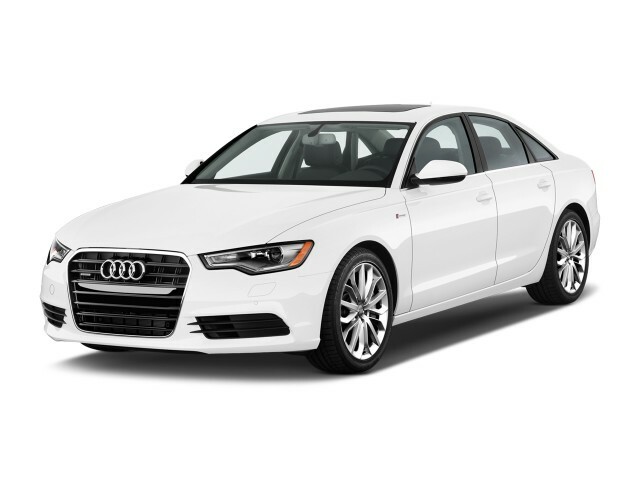 The 2015 Audi A6 is one of the safest sedans on the market, no matter the price. The A6 offers all the active-safety features you'll find on its luxury peers from Mercedes-Benz and BMW--including front and rear parking sensors, a rearview camera, blind-spot monitors, a night-vision system, and a head-up display. Audi's presense system tenses seatbelts and prepares the car when it detects an imminent collision. Couple that with the A6's available adaptive cruise control, and the A6 can completely slow down and accelerate when it senses obstacles changing speeds in the lane ahead. All the latest safety technology--including adaptive cruise, pre sense, and a new cornering-camera system-are bundled in a Driver Assistance package. Every A6 has standard front, side and curtain airbags. 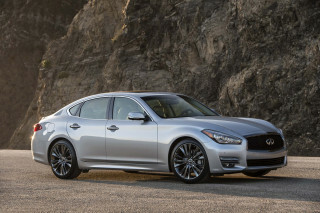 Anti-lock brakes are standard, as well as traction and stability control. A Bluetooth hands-free interface is standard. We'd also, in a some cases, figure Audi's quattro all-wheel-drive system as safety-related; it's not available on four-cylinder A6 sedans, but it's standard on six-cylinder cars. Blind-spot monitors are now standard on all A6 cars from the Prestige trim level and up. The Insurance Institute for Highway Safety (IIHS) gives the A6 "good" ratings for front-, side-, and rear-impact tests, as well as in the roof strength test, but it hasn't been subjected to the IIHS' new small-overlap test yet. 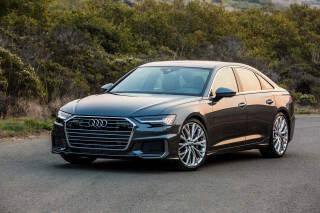 The National Highway Traffic Safety Administration (NHTSA) has tested the A6, and it earned top five-star scores in every test category (and subcategory). We've found outward visibility to be excellent to the front, and better than other cars of this type thanks to the rather low beltline and large glass areas--although the stubby decklid still makes the rearview camera system useful. Google Earth mapping, in-car wireless internet, and Bang & Olufsen audio are some of the A6's top-drawer features. It doesn't take much to race to the top of the price bracket with the list of available options for the Audi A6, but it's a well-equipped car even in its base model. Just beware that you can easily load an A6 Prestige up toward the $70k mark--and that's about where the S6 Prestige starts. On the base A6, there's a standard sunroof; power front seats; cruise control; leather upholstery; 17-inch wheels; tri-zone automatic climate control; power windows, locks and mirrors; tilt/telescoping steering; pushbutton start; AM/FM/XM/CD audio with a 6.5-inch LCD screen; and LED taillamps. Heated front seats are now standard, as of last year. 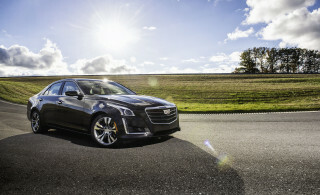 Other noteworthy options include a cold-weather package; a Sport package with 19-inch all-season tires and five-spoke wheels; a xenon headlight package; and a Black Optic package with gloss black exterior trim and 20-inch wheels wearing summer tires. The best option? An awesome 15-speaker, 1300-watt Bang & Olufsen with tweeters that rise on startup. You'll get great fuel economy with the A6 TDI, and competitive numbers with the front-drive CVT model. The Audi A6 ranges between peppy and frugal to brutal and thirsty; it just depends on how much power you want under the hood.